Sales Invoice Books for Service Station 051 At Print EZ. Sales Invoice Books for Service Station Item No. 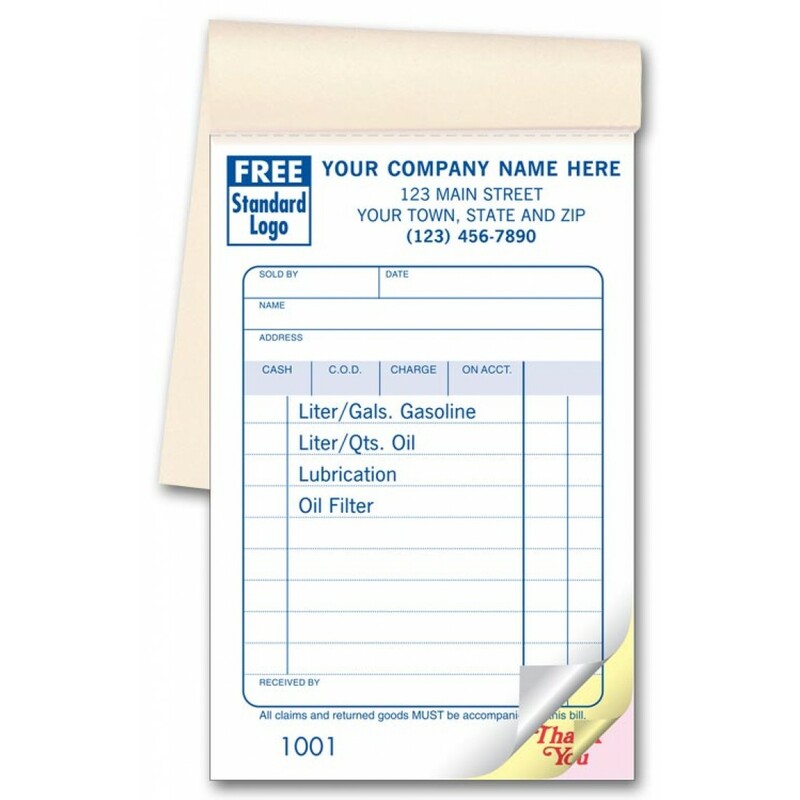 051 Size: 3 3/8" x 5 3/4"
An easy to follow format is very important when it comes to sales invoice books for service stations. Going through two to three shifts a day and dealing with a large number of workers? A simple sales invoice format will help to train the staff and maintain uniformity in data collection too. This is exactly why we have designed our latest sales invoice books for service station. Detailed with information slots for gasoline, oil filter and lubricant, these forms reduce chances of missing out important service information. Other data such as who the items were sold by and in what quantity are also listed out on these forms. The entire sale can be document on this single piece of paper, thus saving time, effort, money and the planet too.